I can help personalize your travel plans. Soak up some sun & fun with this great offer! 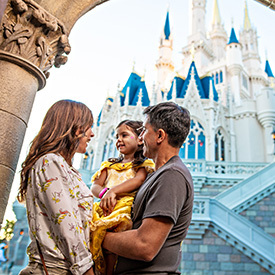 Save up to 25%**on rooms at select Walt Disney World® Resort hotels for stays most nights 4/28 – 5/27/19, when you book through 5/27/19. Right now is a moment to capture. To crave. To savor together. Because now, more than ever, Walt Disney World® Resort has more to see, do, taste and experience than ever before. Come for an array of Epcot® festivals of food, art, music and more. See IllumiNations: Reflections of Earth during the farewell of this nighttime classic. Discover the out-of-this-world thrill of Pandora—the World of Avatar. 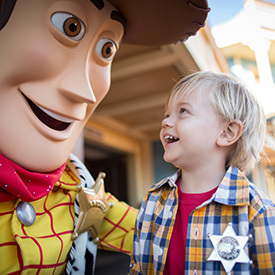 Experience the fun of the all-new Toy Story Land. From an all-new Mickey and Minnie surprise celebration to limited-time magic, it’ll be more magical than ever. And get set to celebrate The Lion King in new and classic ways. It’s more Hakuna Matata than ever during the movie’s 25th anniversary year. Join in on all the magic happening now more than ever, only at Walt Disney World Resort. We can offer you insider tips and helpful advice for your unforgettable vacation! Call us today. I've been a travel consultant for more than 20 years and I can't wait to make your trip the best experience ever. I do what I do because I love to experience different cultures, see amazing natural and historical sites, art and architecture. I also love a beautiful beach. Barbados and Hawaii are my favorite beach destinations but, they both offer so much more. All-inclusives are such great values and provide the ultimate vacation. Europe is endlessly fascinating from the grand cities to the countryside in Ireland or Tuscany in Italy. Cruising is a great way to see Europe whether on the great rivers or the Mediterranean. So are escorted tours for a more in-depth experience. Want to travel independently? I can get you there. Perhaps your fantasy is zip lining in Costa Rica or Ballooning over Napa Valley, Skiing this summer in Chile, diving in Mexico. I can get you there too. I'll get to know you. We'll have a great conversation about your travel dreams. I'll share my relevant experiences, provide suggestions and use my training to make your dreams become reality. It's a collaborative process making sure all your goals are met, all the details are handled and that you get the information you need. I work with all budgets whether it's a private reserve safari in Africa, a world cruise with Cunard or the best and most economical way to see Disney World. I pride myself on making sure you get the best experience at the best value. I hope I'll hear from you soon. ** The number of rooms allocated for this offer is limited. Length-of-stay requirements may apply. Savings based on the non-discounted price for the same room. Additional per-adult charges may apply if more than two adults per room at Disney Value, Moderate, Deluxe and Studios at Deluxe Villa Resorts. Cannot be combined with any other discount or promotion. Advance reservations required. 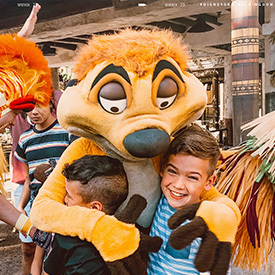 Offer excludes the following room types: 3-bedroom Grand villas, Cabins at Copper Creek Villas & Cabins at Disney’s Wilderness Lodge and Bungalows at Disney’s Polynesian Villas & Bungalows. Savings based on the non-discounted price of the same room for select Disney Deluxe and Deluxe Villa Resorts. Lower savings may be available for other select Disney Resort hotels. As to Disney artwork, logos, and properties: ©Disney ©Disney/Pixar. All Rights Reserved.